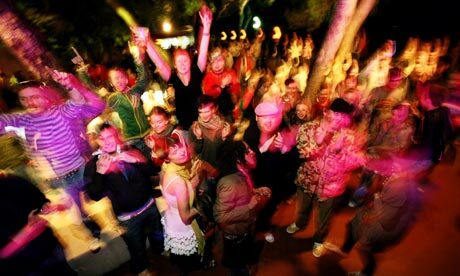 The dance party, titled “Dance to End Bullying”, will feature a silent auction, featuring items from local businesses. 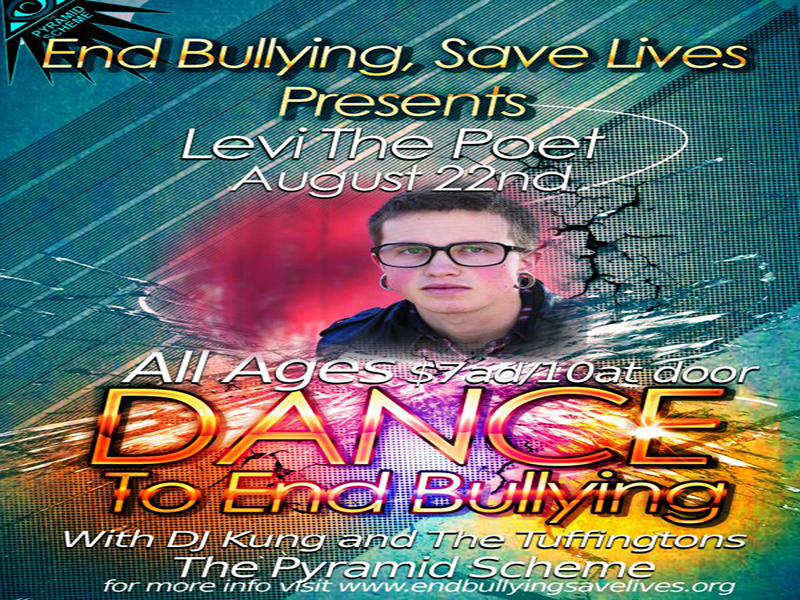 The event will also feature spoken word artist Levi the Poet who will speak about the issue of bullying, as well as DJs from the community to provide dance music. 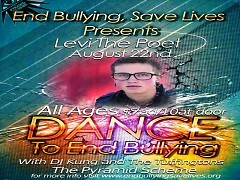 “End Bullying, Save Lives” plans to address the issue of bullying by bringing local community together for events such as these. The organization believes that the recent rise in bullying incidents is caused by a fundamental disconnect between individuals of a community due to the prevalence of insular social groups produced by modern technology and strives to break down these barriers by providing opportunities for people to get to know one another. Families are encouraged to attend as well as youth groups, social clubs and any individuals from the community who are interested in the issue of bullying, those who are experiencing being bullied or have bullied others, or just anyone who wants to have a good time. Event Prizes are sponsored by Vertigo Records, Sweet Yo's Frozen Yogurt, Brann's Steakhouse and Sports Grille, Schuil Coffee & Tea Shoppe, Scott Printing.